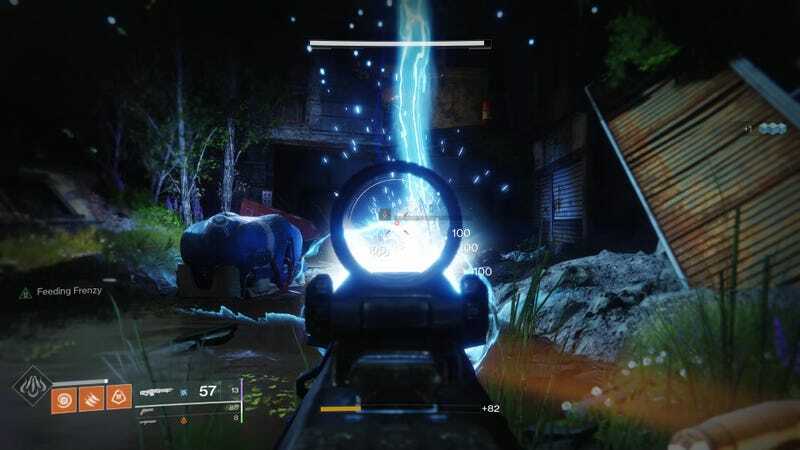 This week, Destiny 2 got a big machine gun that chews through aliens while summoning lightning from the sky. It’s easy to get, and it rules. The gun in question is called “Thunderlord,” and is the latest in a long line of exotic gear from the first Destiny to make its way over to Destiny 2. 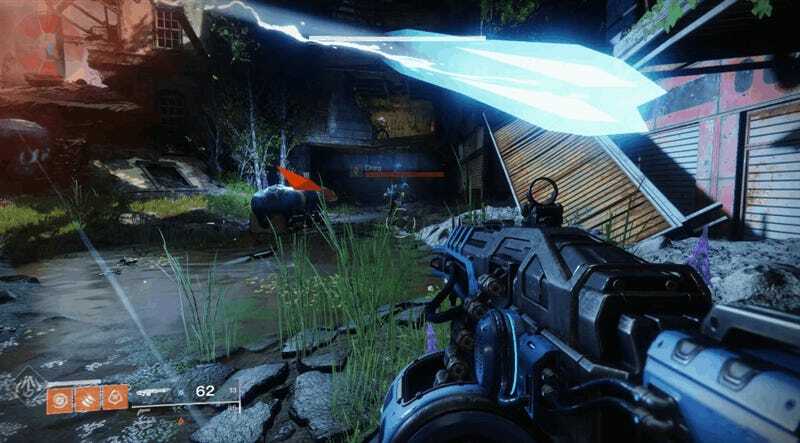 Thunderlord is noteworthy not just because it shreds enemies like Thor at the end of Infinity War, but because it marks the reintroduction of the heavy machine gun, a weapon archetype previously missing from the sequel. Getting Thunderlord is a piece of cake. If you logged into the game anytime in the last few weeks, you probably got a prompt to go visit Amanda Holliday in the hanger. Her quest involves solving the murder of Master Ives, the cryptarch who used to hang out in the now-defunct Reef social space in the first game. First you’ll have to get ten journal pages that you can collect either by killing high-level Fallen in the EDZ, or by decrypting engrams. You can finish this step pretty quickly either by doing Fallen public events in the EDZ or, if you have some legendary shards to spare, just by buying ten engrams from the tower Cryptarch and decrypting them. After that you’ll have to clear out the three Lost Sectors in the Trostland region of the EDZ, then clear the far-west Lost Sector in the Outskirts region. The last step is to complete a mission that takes you someplace fun, then visit Amanda for an exotic engram that decrypts into Thunderlord. It’s an easy quest to complete, and worth taking the time, because the gun is mighty powerful, mighty fun, and above all mighty different from other Destiny 2 weapons. It’s also significantly more powerful than its original Destiny iteration, and way cooler looking in action. It works more or less like a harder-hitting version of the Zhalo Supercell from the first Destiny, but it sits in your heavy slot, which opens up some interesting loadout possibilities. For whatever reason, Bungie initially opted to leave machine guns behind for Destiny 2, which bummed out all those who appreciated having burly bullet-slingers like Qullim’s Terminus and Baron’s Ambition at their disposal. The return of Thunderlord should whet appetites for the full return of the LMG archetype in December. Until then, if you’ve been feeling like your Destiny experience has been lacking for a huge gun that calls down lightning from the heavens, well, good news. Correction: Bungie has confirmed the return of the LMG archetype, and it won’t require the Black Armory expansion.